There is Silence in these mountains, just nature as far as you can see. Come with me to the Spanish border, feel a small breeze, before we descent to the hamlet of Tapis. 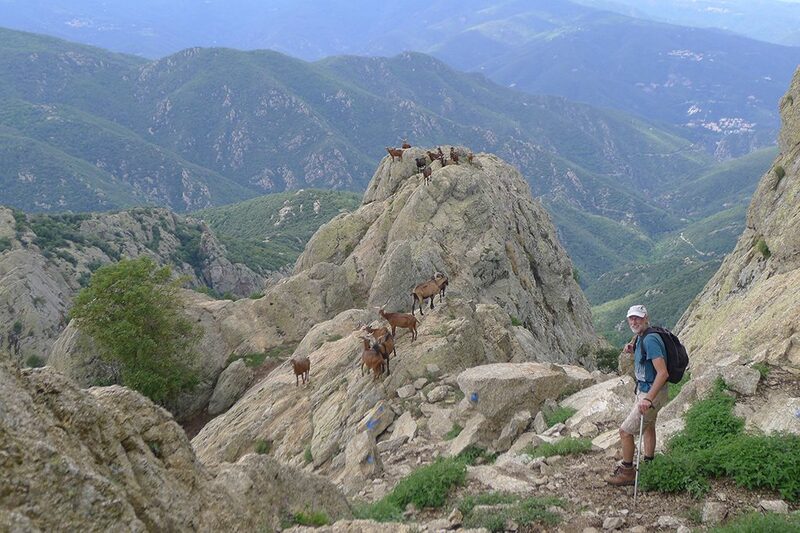 Climb to the top of Roc Salvador where feral goats will lick the salt on your arms, or stroll on mount Canigou like an explorer along the icy waters of the Riu Ferrata to some abandoned ruins. On Wednesdays we organise longer day hikes for those who are fit enough, ending up in a restaurant for a communal meal (enthusiastic kids, 7 years and up, can come along too). 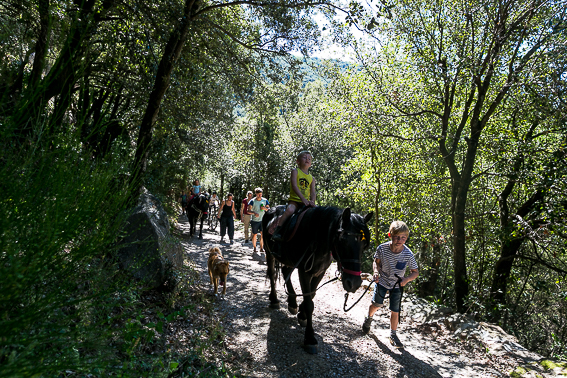 On Thursdays we do small walks with the horses and donkey, everyone welcome to join !! 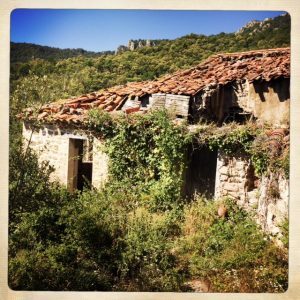 And of course there are ample opportunities to go for a hike yourself, along the old donkey tracks: to the ruins of Paracolls, to the chapel of Santa Engratia, or to Mont Alba, where the old school and the churchyard is. The long distance footpath, the GR10, which runs from the Mediterranean sea to the Atlantic Ocean passes across our land. Maps and advice can be requested.